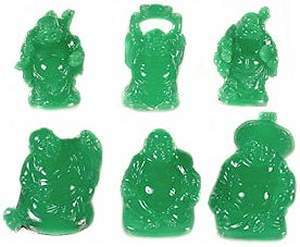 2" H x 1 1/2" W - Each Approx. 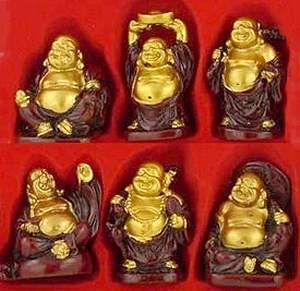 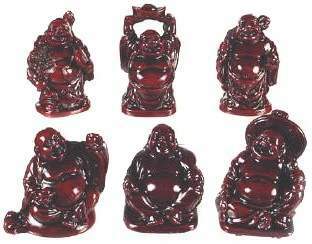 A set of 6 Happy Buddha's in your choice of 5 polished finishes. 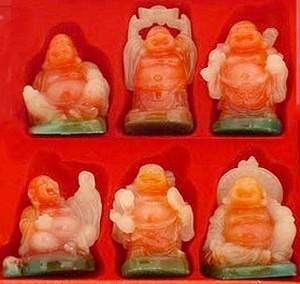 There is one for Safe Travel, Prosperity, Love, Spiritual Journey, Happy Home, and Long Life. 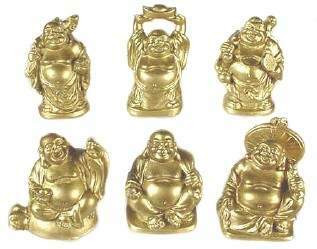 High gloss faux gold finish statues of solid stone resin.